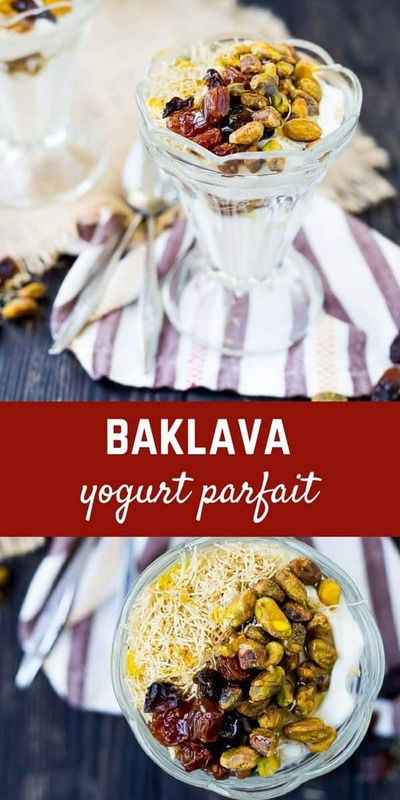 This Baklava Yogurt Parfait Recipe is almost like eating dessert for breakfast. Filling, sweet, creamy, crunchy, and oh-so-satisfying! Strawberries and granola, step aside. We’re kicking this yogurt parfait recipe up a notch. 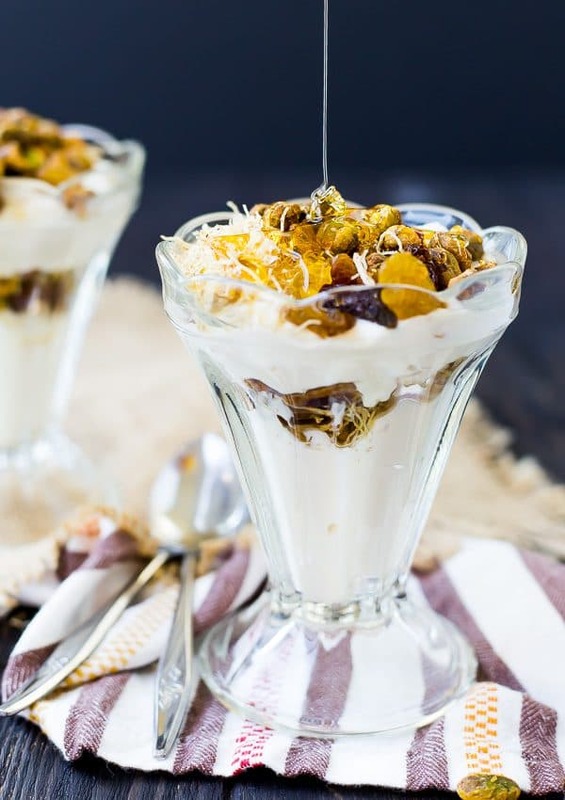 Based on one of my favorite desserts, baklava, this parfait hit a homerun. I really wanted to capture the essence of baklava; it needed to be crunchy, nutty, slightly chewy, and lots of great honey flavor. I tested it out on Ben and when he finished it, I asked him if it reminded him of anything. Ding ding ding! Right on the money. 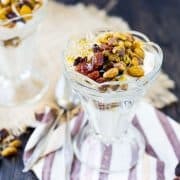 To really infuse that honey flavor into this parfait, I chose a honey flavored Greek yogurt as the base of this yogurt parfait recipe. 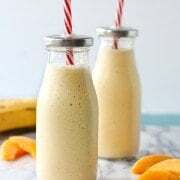 I know that flavor of yogurt can be a little hard to find, so if you don’t have luck locating it, I’d suggest using a plain Greek yogurt and sweetening it with honey and a touch of vanilla if you want. (It’s also a great way to control the level of sweetness!) You could even add a little orange or lemon zest. I kept it very straightforward so you don’t have to go through a lot of work at breakfast (or snack) time, but you can do this up a little more if you want, as with any recipe. If you’re looking to give it even more of a flavor boost, try adding a sprinkle of cinnamon or a (very small) sprinkle of cloves. Make it your own! Just be careful with the cloves, a little goes a long way. Cloves have a very potent flavor. Elements I wouldn’t recommend skipping or changing are the shredded wheat (which is similar to phyllo in texture) and the nuts. You can use pistachios, walnuts, or a mix of both. 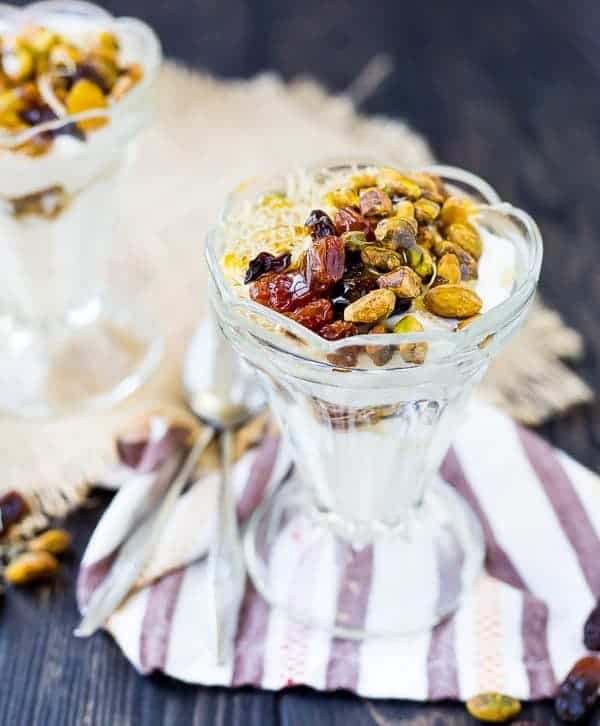 Raisins aren’t a traditional baklava ingredient, but in this yogurt parfait, they add a deep level of natural sweetness as well as the slightly chewy texture that baklava has. I loved them in this and of course, I used my latest favorite raisin — these jumbo guys. If you don’t have raisins, a great substitute would be finely chopped apricots or dates. 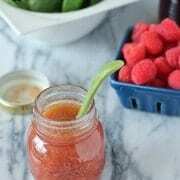 Enjoy this fun and healthy breakfast! It’s great for impressive brunches, too! PS: Love this? Try these fruit salad parfaits with shortbread crumbles! Spoon about half of Greek yogurt into the bottom of a parfait bowl (or any bowl). 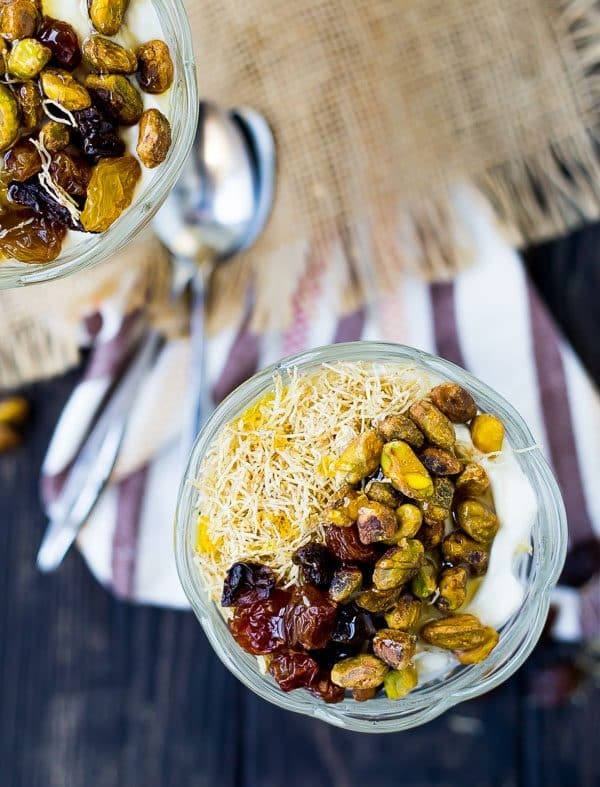 On top of yogurt, sprinkle about half of the pistachios, raisins, and crumbled shredded wheat. Repeat with second half of ingredients, starting with yogurt. If desired, drizzle with additional honey for a beautiful (and delicious!) finish. Verdict: Love this — it can totally pass as a dessert, too! Changes I would make: I mentioned a few alterations, but no changes are necessary! 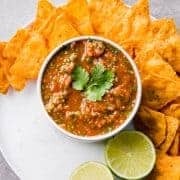 Wow this looks amazing, incredibly delish and healthy! Mmmm I love a breakfast parfait! Shredded wheat! Genius. I was waiting to see how you were going to incorporate the phyllo flavor. Genius! I want this for breakfast please!